Since 2010, the Supreme Court’s last gun control decision, the Court has turned away at least 15 gun-rights cases, including several challenges to prohibitions on semi-automatic assault rifles and on public carry of firearms. Gun control advocates hoped that the Supreme Court would overturn unfavorable lower court decisions. Some believe that Justice Anthony Kennedy stopped the court from taking these cases, but it could just as easily have been Chief Justice John Roberts, who places considerable weight on building consensus and is willing to put off dealing with contentious issues. Rarely is any information released on who voted to hear these appeals. Gun control advocates are most upset by a 2011 dissent in which Kavanaugh voted to strike down Washington, D.C.’s ban on most semi-automatic rifles. 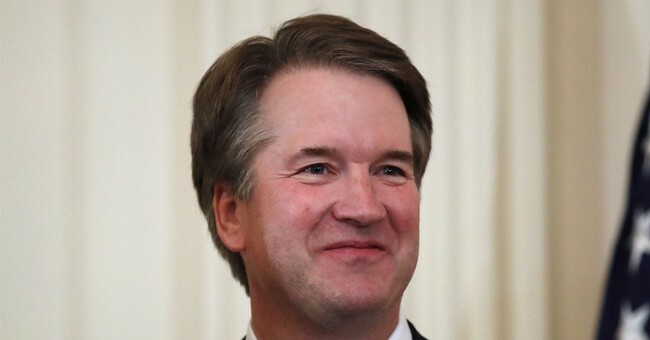 Two other judges voted to uphold the ban, so Kavanaugh lost the vote. District and Circuit court judges are supposed to follow Supreme Court precedent, whether or not they personally agree with the decision. When a judge ignores precedent, it is easy to infer that he is acting on his own political biases. But Kavanaugh has been a consistent follower of precedent while he has been on the D.C. Circuit Court, widely acknowledged to be the nation’s second highest court, just below the Supreme Court. The Supreme Court can over rule its own precedent, but Democrats ignore that Kavanaugh has co-authored with a heft 942 page book on precedent, titled the Law of Judicial Precedent. The book seeks to formerly describe rules when courts should follow precedent, and it makes clear that jettisoning precedent is not something that he takes lightly. Bloomberg’s Everytown is also simply wrong when it says that Kavanaugh “does not take into account a law’s impact on public safety.” For example, on page 33 of his dissent, Kavanaugh compares the safety issues for semi-automatic handguns and semi-automatic rifles. On pages 42 and 43 he compares the relative safety aspects of licensing versus registration laws. Maybe gun control advocates don't like that Kavanaugh actually knows something about guns. While other judges seemed to think that military-style assault weapons are somehow different from other types of semi-automatic rifles, Kavanaugh understood the word “style.” These guns may look like military weapons, but they fire one bullet per trigger-pull, just like any other semi-automatic. Kavanaugh notes of the D.C. law: "It bans certain semi-automatic rifles but not others – with no particular explanation or rationale for why some made the list and some did not. The list appears to be haphazard."